I recently discovered the Kitchen Sisters, via their podcast "hidden kitchens". It's a great project where they uncover some amazing cultural food pockets that are often overlooked. I llistened to all ten podcasts in one sitting, they are short and sweet while being very interesting. I wanted to taste the food discussed in every one. My favorite entry was the story of the Angola Prison Rodeo, (you have to hear it) held at a farm-prison in west Louisiana. 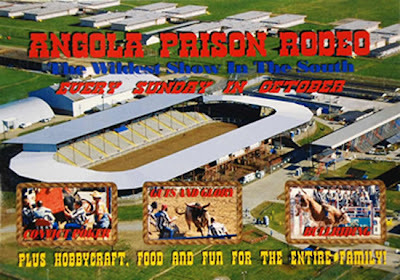 The inmates participate in the rodeo, but they also prepare Louisiana fare using ingredients grown at the prison. This sounds like heaven to me. Have You Ever Heard of Fideua?